Marijuana For Trauma is a medical cannabis clinic with over 10 locations across 6 provinces Canada. The company is owned and operated by veterans and their goal is to provide quality health care for people suffering from chronic pain, PTSD and/or other medical conditions. 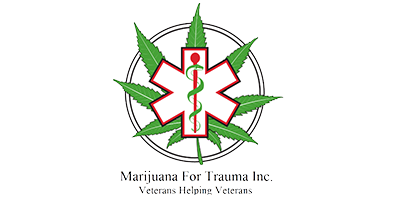 The highly knowledgeable physicians and consultants at Marijuana for Trauma offer special services for veterans, including assistance with Department of Veterans Affairs claim paperwork. Marijuana For Trauma works alongside veterans to ensure that they take advantage of all the financial entitlements available to them. Marijuana For Trauma requires a referral from a physician to make an appointment. If you think medical marijuana might be a viable treatment option for you, start by speaking to your doctor. Referral forms for Marijuana For Trauma can be found on the website.